A Tree Company You Can Count On for a Quality Service! We started our Rochester Hills, MI tree service business several years ago, out of a desire to offer a better and more dependable service than what was currently available throughout the local area. Root Tree Service, Inc. has earned a reputation for being an honest and dedicated company offering tree care and tree removal service tailored to fit the needs of our clients! Our qualified specialists have the best interests of our clients at heart. With us, you are guaranteed professional, reliable, ethical, and practical services. There are no ‘high pressure’ sales tactics or hidden fees with us. We genuinely care for your trees and will go the distance to keep them healthy and beautiful! Root Tree Service, Inc. offers comprehensive commercial and residential tree removal service in Rochester Hills, MI. If you have trees and need advice and directions on how to properly care for them, then simply get in touch with us! We stand behind our work and will be happy to work with you! 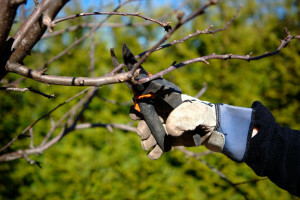 We will customize a tree service plan to fit your specific needs and budget. We are fully insured, and you can count on us 24/7! For more information, be sure to call us at 248-678-8555! Get your free estimate today!